A contract is a legally binding agreement. If you are in the process of starting your own business, it is important that you understand how to write a contract. 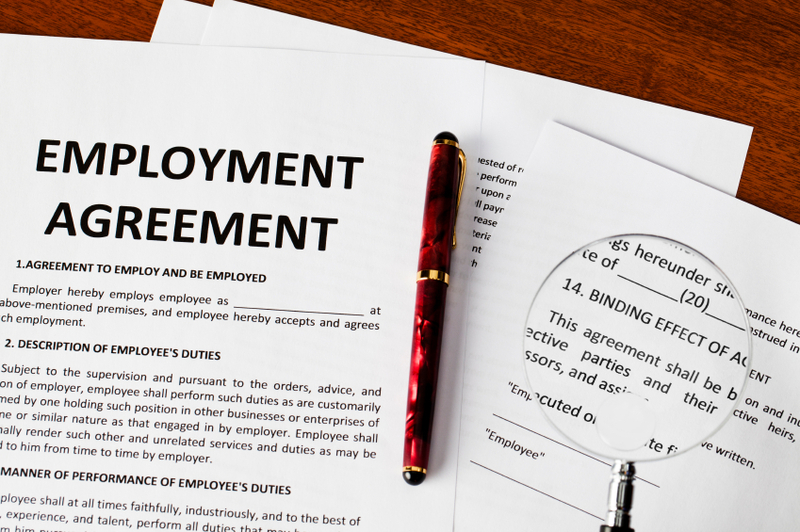 Whether you are hiring employees, offering your services to a client or even working with a graphic designer to brand your company, contracts are a necessary part of business. Hiring a lawyer can be expensive, especially for new business owners who have limited funds. Instead, we have created a step-by-step guide to teach you how to write a contract by yourself. If you want to save money and learn how to craft a formal, legal agreement for any business purpose, keep reading below. First, you are going to want to prepare the information necessary to write a contract. All business contracts require certain pieces of information. This information includes the date, involved parties’ names, payment amounts, payment due dates and expiration dates for the contract. Additionally, your contract should also include breach of contract damages, or damages for missed deadlines and incomplete services. These are the business contract fundamentals that should be prepared before you set out to write your document using the steps below. The first step to crafting a legally binding contract for your home healthcare business or other is to first introduce both parties. Clearly explain who is involved in the agreement. Make any necessary definitions for language that will be used later on in the contract. For example, if the contract is regarding a certain product from your business, name that product in the introductory paragraph. Additionally, be sure to use your company’s full legal title, and the full legal title of the secondary party when creating your contract. All contracts have three essential parts: an offer, an acceptance of that offer and a “consideration,” or explanation, of what each party will get out of that offer. Once you have outlined the necessary language and participants, the next step is to identify the offer. What type of goods and services are both parties providing one another? Once you have that clearly stated, you can move on to the next step. For any contract, it is important to specify the duration. This is something students learn across all business schools in Texas. Contracts are not meant to last forever. Instead, identify how long you will be requiring or providing the goods or services agreed upon in step 2. Once you have a timeline for the contract, you can move on to step 4. The next step to creating a strong contract is to outline the obligations of both parties. You will want to consider what standards will be held for the completion of the offer. For example, if you are exchanging goods for money, you will want to stipulate how and when the money will be paid, what the quality of the product will be and other general services involved in the offer. The final step is to plan for failure. Make clear what will happen if one party does not complete their obligation. This is one of the most important steps because it will allow you to take full legal action should the other party fail to make payments or otherwise live up to their end of the agreement. Writing a contract can seem like a daunting task. However, as long as you use clear and precise language and follow the steps above you should be able to craft an adequate document. The next time you need to solidify an agreement with someone, refer back to this post so that you can follow along and write the perfect contract.